Akichi wrote: Is that the final stage? Yeah...I would have been able to give it a go yesterday, but I goofed on a formation and lost a battle. Turns out the stage before it with all the Heroes is not too tough. They don't really have the best spells. Maybe I can finish it today. wonder what kind of xp it gives for winning. I'm gonna try my hardest to find out today. So there was no way I was beating this task today, but I did learn a few things. Turns out the things you kill in battle stay dead for the next battle, but if you only damage them their life regenerates except for the Dragon. Like a dummy this whole time I've thought it had 12,000 hp, but I noticed today I was missing a 0. The Dragon obviously has special attacks. He shoots fireballs out of his mouth which cause a decent amount of damage. This attack is aimed directly at you. He also has an area attack which causes more damage, but it also can completely miss you. 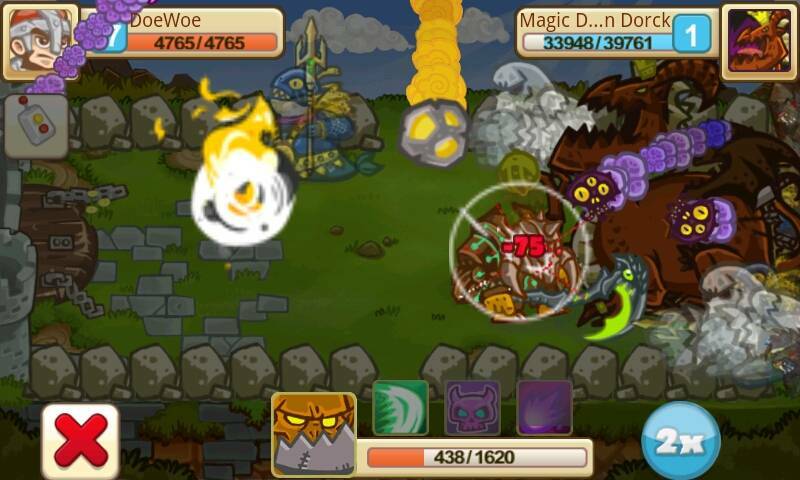 The 3rd attack is the most interesting...he has spirit spells of The Wolves, The Magic Slugs, and The White Apes. I was able to regenerate my health enough on the 1st two attacks to continue to chip away at him, but the spirit spells are really tough and kill me relatively quickly. If I had known this I wouldn't have wasted time and attempts bringing back up my 3 stars...oh well...it's gonna take me a while to finish this one. I hope his health doesn't regenerate in 24 hours...I doubt it though. Wow. It almost makes me wonder if it's even worth it to fight it again after beating it once. Good luck! Hope you get something super special for it. I will be able to try it myself tommorow. Definitely gonna finish tomorrow. 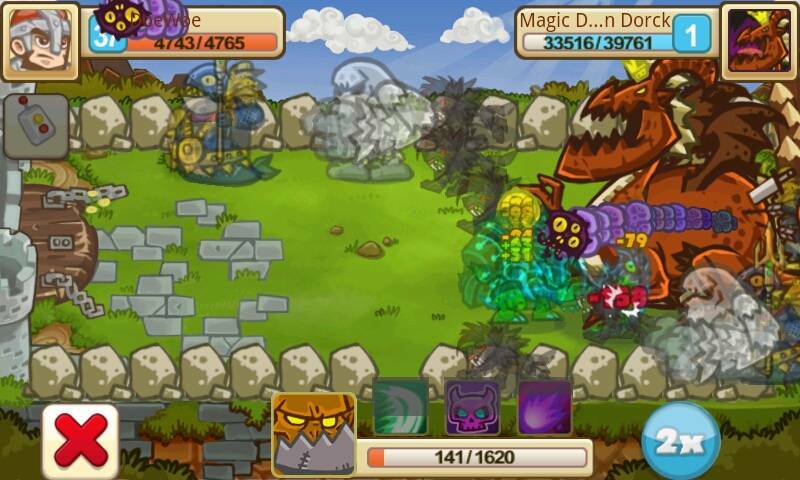 Here's some pics of the Spirits and Attacks. So confirmed that health doesn't regenerate? I started chipping at it today. Oh yeah, the 2nd to last level with the 7-8 heroes, that was actually one of the easier levels! Unbelievable. Yeah nothing regenerates. Its funny cause its so true that the level with all the Heroes was simple. How far did you get on the Dragon? I think for a melee hero, just fill the rest of the spaces with footman? I was only using my Hero cause the regular units die quick. I'm down to 24k so we should both finish up tomorrow. I theorize the Succubus is going to be the perfect hero for this boss, because you can actually use the shamans you put right from the start instead of 'walking up' with your hero and dying. Might be able to attack fast enough to perma-stun it and make it only able to damage you with spells. Can probably last much longer until you die. Edit: Got it down to 58k today before running out of attempts. This fight had *better* guarantee a fragment drop or something! You would think it would drop something nice. Or give some crazy amount of xp. I'm hoping for something good, but they've definitely made it beatable so I wonder if that changes the significance. If you can get to the level you can beat it...it might takes a couple days, but it'll happen. I'm only getting it down about 8k-10k per battle. It should only take 3 more attempts. Really this thing is only about attempts and not difficulty. based on what gear your hero has, it would take me twice as long. Errrr...well that was a disappointment. Just a Shoulders of Bashing Frag. It gives you a rating based on the number of attempts it took to complete. I was hoping for more. Did you get 3 stars DoeWoe? Maybe that's why I got a crap fragment. Haha...no. I was too embarrassed to say. I got 1 star for 22 attempts. Not that it matters, but that is only with my Hero every battle. Thanks man...I was wishing for more too...a few spars would have been nice. Guess I'll try again a little later to try to get a better score. DoeWoe wrote: Haha...no. I was too embarrassed to say. I got 1 star for 22 attempts. Not that it matters, but that is only with my Hero every battle. Embarrassed? I'd take your 1 star and your fragment over what I got! Using this strat my hero is virtually invincible (I gain more health than I lose), until he summons his lackeys. The Water Mages slow attack completely negates this strat, so by then I just spam spells til I die. It took me at around the 10-11th try to optimize my attack pattern. Next time, I can definitely do this in fewer attempts. I'll give that a go next time around. I just had everything on auto. I agree, should have been more dropped. 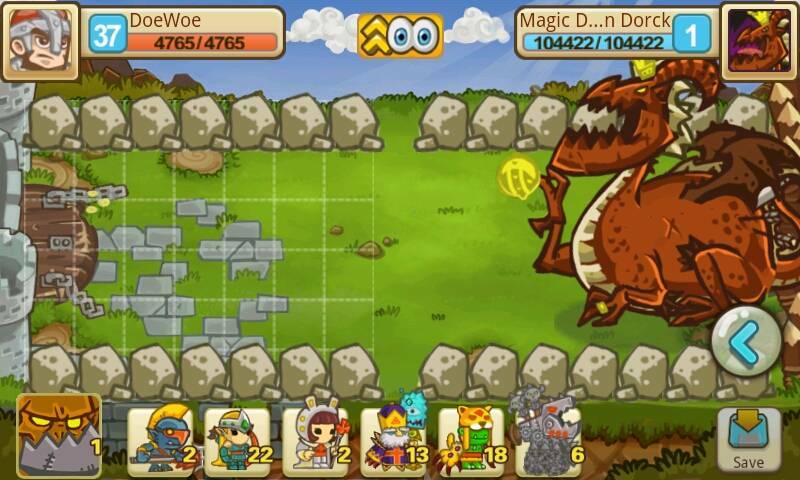 » How do you get Zodiac mode?